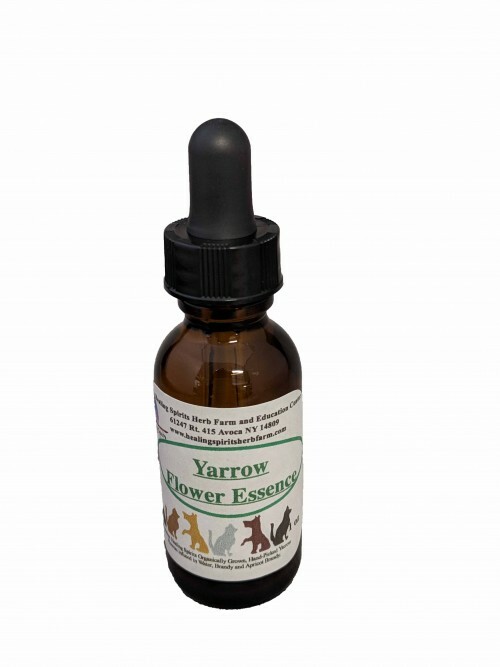 Traditionally yarrow is a protection plant which helps to strengthen aura and protect against negative influences. This makes it useful for a plethora of behavior and anxiety uses in pets. It can help with pets who are overwhelmed by sounds, who are triggered by certain situations, or who become anxious in crowds or when away from home. Administrate daily with a few drops in your pets water bowl. Contains: Healing Spirits Organically Grown, Hand Picked Yarrow Flowers infused in Water, Brandy and Apricot Brandy.